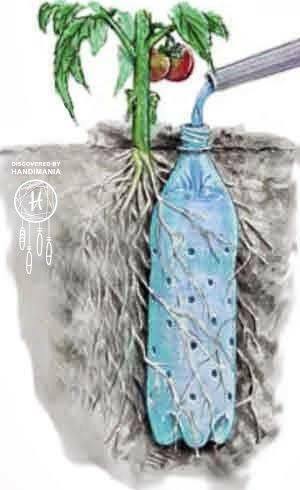 In the dry months come summer, reuse a bottle with holes for a slow-release plant waterer. This entry was posted in Uncategorized and tagged DIY, REUSE, SIMPLY, URBAN AGRICULTURE. Soil testing showed a pH range of 8-10, with no access to sulphate returning crop waste and jungle mulch was the only option. Returning organic matter has shown pH can be lowered to 6.5-7 the ideal range for vegetable and fruit gardens. Other strategies to improve tropical soils are the planting of ground and tree legumes, water harvesting techniques to avoid loss and run off. 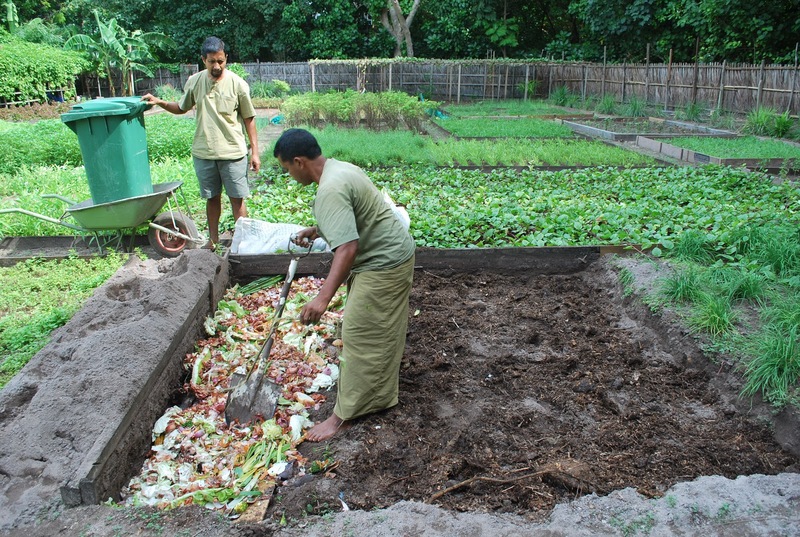 The ceasing of bare soil cropping and designing garden beds to hold humus and avoid leaching are a necessity. Dig long trenches to a depth of 1-1.5m and 1-2m wide or 2 arm spans to avoid compacting soil when walking on. Line trenches with cardboard, paper, green leafy plant material or plastic. Be careful not to create a pond that can fill up, allow water to drain leaving an end unsealed. Raised beds up to 750mm above ground level lined with cardboard and filled with mulch and soil acheive the same result. A network of tunnels 33 metres under Clapham in London, originally built as a WWII bomb shelter, is being used to grow a range of different salad vegetables destined for Londoners’ plates. This week, Wired.co.uk paid a visit to the subterranean farm, descending the winding steps deep into the bowels of southwest London. The space is enormous. It’s made up of two seemingly never-ending tunnels (actually 430 metres long), lit — at least during our visit — only by the torches of Steven Dring and Richard Ballard, the founders of Zero Carbon Food, the company behind this agricultural curiosity. This entry was posted in Uncategorized and tagged farm, LONDON, UNDERGROUND, urban.